I would like to know if there is an easy and efficient way to use the full QGIS desktop experience on a server. and then simply opening QGIS by typing "qgis" which runs the binary on the server but opens the gui on my desktop pc (Ubuntu as well). It has full functionality but the interface is not very efficient (long rendering) if I access the local network from outside (from inside it is fine though). I saw information on QGIS server but it looks like a stripped down WMS version of the original QGIS. I wondered if there was something that offers me a broader range of function with the efficiency of QGIS server technology for remote usage...? Why do I need full functionality? Well, instead of only displaying and filtering data (think of WMS) I would like to use this setup to create spatial models that require QGIS algorithms. Those models can often take up long processing hours and by executing them on a server I could free my Desktop PC from the processing overload. A lot of processing in QGIS are "just" commandline tools in a nice gui. If you use a local QGIS to test your command, you could execute that command on the server via ssh. If the command is not a terminal command, it might be a Pyhton one. Generate the script localy and run it on the server, again via ssh. This is strange approach. 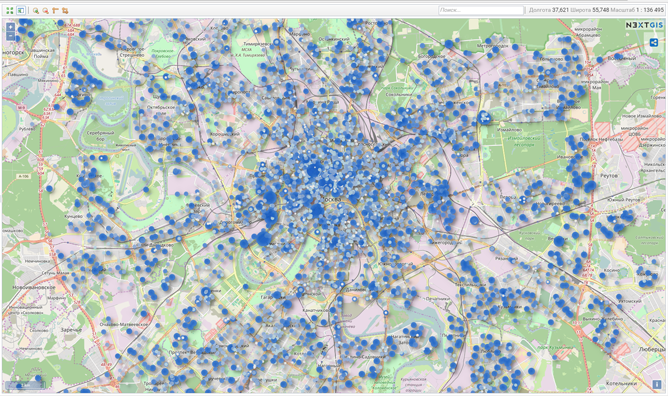 Usually to get QGIS like rendering Web maps people use NextGIS Web or QGIS Server. And for geoprocessing - WPS (for example pyWPS or ZOO project). For instance - try nextgis.com with NextGIS connect plugin. If this is what you need, you can install NextGIS Web on your server. Not the answer you're looking for? Browse other questions tagged qgis ubuntu server ubuntugis or ask your own question. Howto setup and use a remote GIS workstation (QGIS,GRASS,PostGIS)? QGIS Extend Toolbar (GUI) Button Functionality via Python Plugin? Possible to convert v.net.spanningtree to QGIS custom script so don't need GRASS installed?